Home Drinking Shift Drink: Alicia Kemper, Fundamental L.A. Shift Drink: Alicia Kemper, Fundamental L.A.
Alicia Kemper, general manager and beverage director at Fundamental L.A., had her first aha moment with wine over a glass of Napa Valley Cabernet. While working front of house under sommelier Brian Kalliel at Melisse, seeds for a career in wine were undeniably planted. 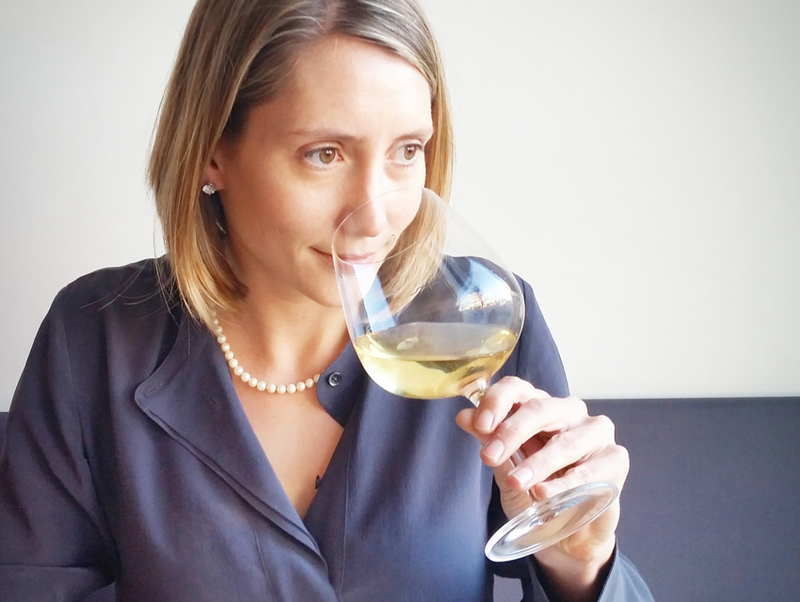 But it wasn’t until she traveled back home to Cincinnati to work at the restaurant Boca when she was encouraged to pursue a sommelier path and eventually become certified through the Court of Master Sommeliers. Her journey would eventually take her back to the place where that inspirational wine hailed from–Napa–as she spent time on the floor at Michelin-starred The Restaurant at Meadowood and working harvest at Bond Estate. Now at Fundamental L.A., Kemper is overseeing a list of “natural wines made by farmers and winemakers, not factories.” She champions small producers from different corners of the wine map working in the vineyard and the cellar with minimal intervention–a perfect match for the restaurant’s simple, seasonal (and delicious) California cuisine. Read on to see what French wine region she is currently in love with and likes to pour in her glass at the end of dinner service. “After service, I like to drink wines that are tasty (obviously), more complex, and definitely affordable. I like a glass of wine that makes me think, ‘Damn, that’s good!’ It’s fun to taste through dozens of wines a week and find the few that really make you appreciate well-made wine.